ProButterfly.com & REITScreener.com co-founder Tam Ging Wien will be speaking at the upcoming SMART Investment & International Property Expo (SMART Expo) this coming Sunday on the 31-March-2019 from 12:00pm to 12:45pm. Hosted by REA Group Asia, this year's SMART Investment & International Property Expo (SMART Expo) will be held on 30-31 March 2019. SMART Expo is one of the leading overseas property and investment display platforms in Asia, ushered in its 25th anniversary in 2019 at Hall 404, Suntec Singapore Convention & Exhibition Centre. This year, Ging Wien will be tackling the the topic of interest rates and their relationship with REITs. If the interest rates continue to rise, does that automatically mean that REITs in Singapore will under perform? What if the US Federal Reserve surprises the markets with a rate cut, will that bode well for Singapore listed REITs? Are there some REITs which are more resilient than others in the face of rising interest rates? 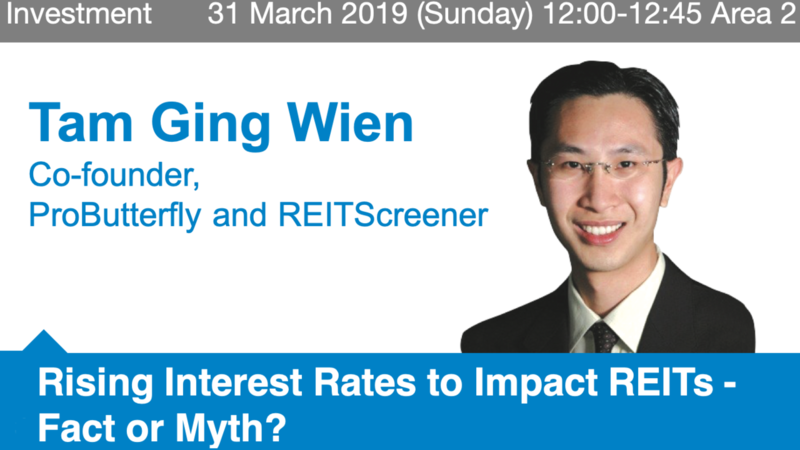 Come join us as we examine the implications of rising interest rates on Singapore listed REITs and how to invest in REITs amidst the trend of rising interest rates. Across the two-day event, 16 seminars were curated to provide insightful information on topics such as the challenges and outlook of the Singapore market, tips on making smarter real estate investments, mastering the game of leverage and what to look out when investing overseas. Renowned speakers include Swee Yong Ku, CEO of International Property Advisor Pte, Ltd., Widya Lesta, Head of International Residential of JLL Singapore, Vina Ip, Blogger, PropertSoul.com & Director, Property Club Singapore Pte. 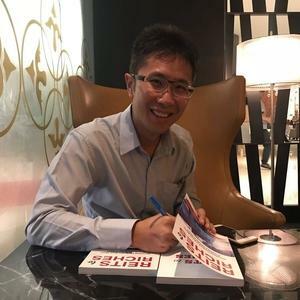 Ltd., Tam Ging Wien, Blogger, ProButterfly.com & REITScreener.com, Jake Chow, Market Strategist of CGS-CIMB Research Singapore Pte. Ltd. and Julian Kwan, CEO of InvestaCrowd. 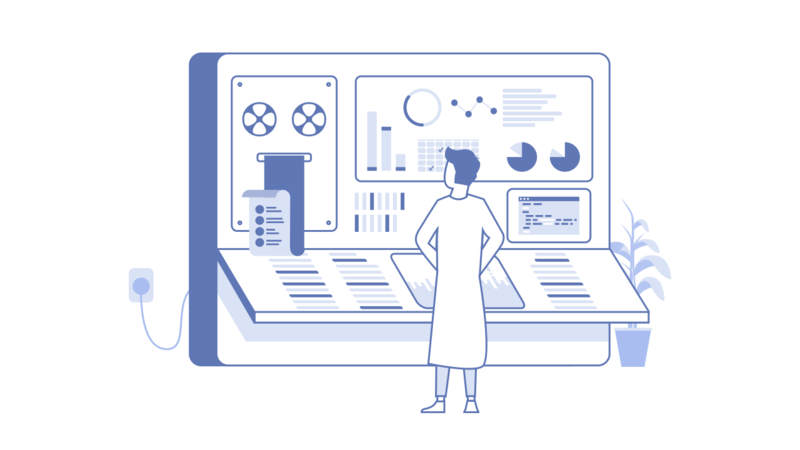 For more information and to register for your free tickets, please visit: SMART Expo 2019.